Once you have installed the turboDial Linker Extension, you can launch and login to turboDial using your Infusionsoft ID email and password. Then your next step will be to install your first Caller ID. You cannot make a call with turboDial without having at least one valid Caller ID. In the window that opens enter a phone number for a phone that you can answer. 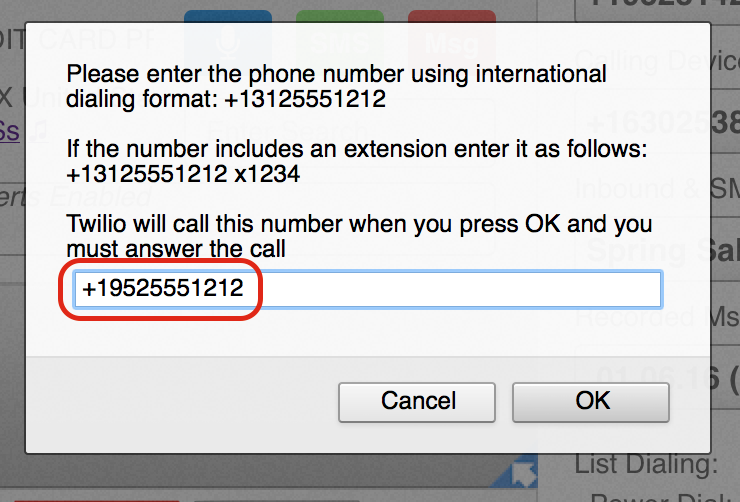 Always use full International dialing format for your phone numbers, so for example in North America you will begin your numbers with +1 and in Australia you will begin your numbers with +61, etc. You will now receive a phone call at the phone number you entered in step 2, and when you answer you will be asked to enter the code you received in this step. Type in the code using the keypad on the phone you answered. 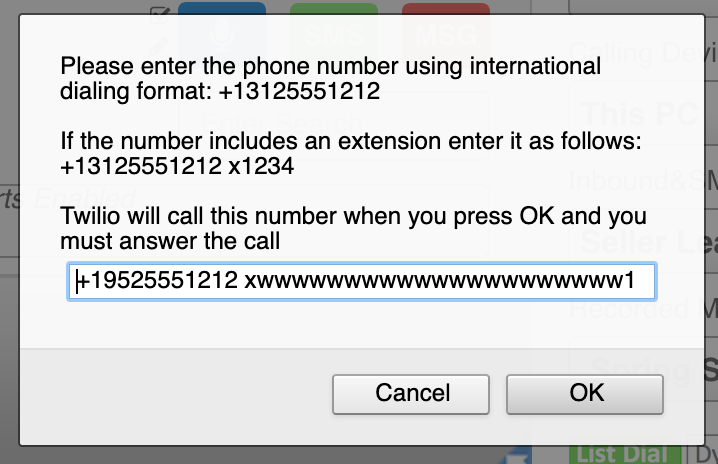 This technique is adding a fake phone extension of ‘1’ that needs dialed after the call is answered, and each ‘w’ is a 1/2 second wait before the ‘1’ is dialed at the end. There are 21 w’s so it has the effect of telling Twilio to wait about 10 seconds before proceeding to ask you for the 6 digit code.